Underworld criminal The Unicorn cruelly destroys lives. His businesses dealings involve people trafficking, extortion and terrorism. His victims are those who insist on standing in his way. 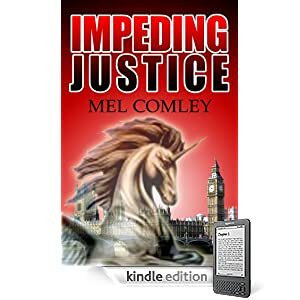 Detective Inspector Lorne Simpkins fears if she doesn't bring the Unicorn to justice soon he'll punish her. After leading Lorne and her partner into a trap in which Pete is killed, the Unicorn ups his game further still by kidnapping the DI's daughter. Can Lorne rescue her teenage daughter and overcome life threatening situations to bring the Unicorn down? Mel's book earned a gold star on the Authonomy site with the review from a Harper Collins editor saying "The opening grabs the reader's attention and feels like a well-plotted page-turning read. All the raw materials for a really gripping story are here..."